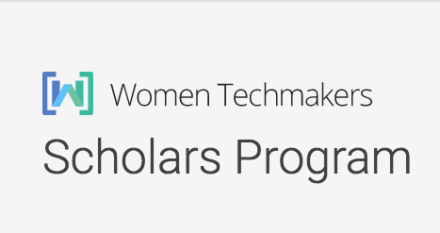 Female Undergraduates and Master’s students from EMEA regions of the world are invited to participate in the 2018/2019 Women Techmakers Scholarship Program for Women. Through the Women Techmakers Scholars Programme – formerly the Google Anita Borg Memorial Scholarship Programme – Google is furthering Dr. Anita Borg’s vision of creating gender equality in the field of computer science by encouraging women to excel in computing and technology and become active leaders and role models in the field. Dr. Anita Borg devoted her adult life to revolutionizing the way we think about technology and dismantling barriers that keep women and minorities from entering the computing and technology fields. She proposed the “50/50 by 2020” initiative, so that women earning computing degrees would be 50% of the graduates by year 2020. However, the percentage of Computer Science degrees earned by women is still far from 50% throughout the world. Through the scholarship, Google aims to encourage women to excel in computing and technology, and become active role models and leaders. How to Apply: The Women Tech makers Scholarship is a one-time scholarship. While past applicants and finalists are encouraged to reapply, unfortunately, past recipients of any Google scholarship, including the Women Tech makers Scholarship and Google Anita Borg Memorial Scholarship, are not eligible to apply. Complete the online application and submit all requested documents by 1st December, 2017. The following application documents must be in English.